Aaron D. Priest is a Master Photographer with more than two decades of experience in professional photography. He specializes in VAST photos, high-definition HDR 360° panoramas, gigapans, and 8K timelapses of New England. His work has been featured by CBS News, Space.com, Accuweather, PetaPixel, Roundme, TeliportMe, Google, and in several galleries, magazines, and newspapers. 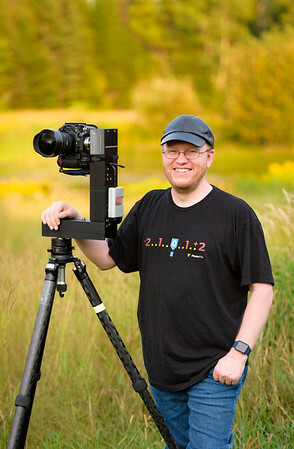 Aaron is a world-renowned pioneer in the developing field of ultra-high-resolution, high dynamic range imagery—in particular spherical and gigapixel panoramas, virtual tours, and 8K / 360° timelapse video. With his background in photography and computer engineering, he has helped to develop advanced software and hardware for many companies in this growing market. In addition to his efforts pushing the cutting-edge of technical image creation, Aaron also produces advanced virtual reality tours and is a well-recognized photography teacher. He regularly hosts workshops and lectures on a variety of advanced image making topics, from landscape astrophotography to panoramas and timelapses. Click Contact in the menu above for custom rates on photography projects and workshops. We'd love to hear from you!